I am an Assistant Professor of Political Science and Latino and Caribbean Studies at Rutgers University, New Brunswick. I graduated from Ohio State University in Columbus, OH with a PhD in Political Science, and Connecticut College in New London, CT with a Bachelor of Arts in Government and Gender and Women’s Studies, and a minor in English. 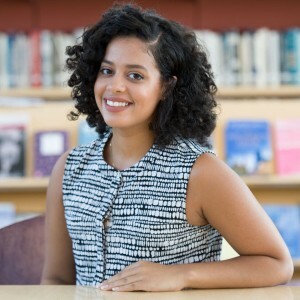 Originally from Dominican Republic, Yalidy is passionate about complicating the ways in which Americans think about immigration and immigrants. In this article, I examine the decisions of Arizona, Alabama, Georgia, South Carolina, Utah, Indiana, and most recently, Texas to pass restrictive immigration omnibus bills and analyze the factors associated with the decision of a state to pass its own immigration law, sometimes without explicit warrant. I focus on state omnibus legislation for two main reasons. First, this type of legislation has been the focus of much media attention. Second, omnibus legislation mimics comprehensive immigration legislation over which the federal government has sole authority. Additionally, I focus on the regional proliferation of restrictive immigration laws, and then bring my attention to the seven states that passed similar legislation. Individually, I examine the roll call votes by each state’s House of Representatives. By looking at immigration politics at a sub-national level, this article provides a more nuanced understanding of the political and ideological work of immigration policies. I argue that contemporary immigration politics at sub-national levels should not only be understood as a story about demographic changes and strictly partisan politics but also a story about the sociohistorical legacies of localities. The historical processes of race, and the differing ways in which places get racialized, influences, beyond partisanship, which representatives voted for and against restrictive immigration legislation. These differences, alongside state-level differences, I argue, continue to affect politics and policy today. Immigration policy has become a vessel through which to contest the" "politics of race, place, and power."